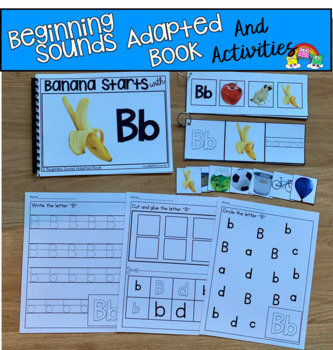 This Beginning Sounds Adapted Books And Activities Bundles focuses on beginning sounds and includes real photos! 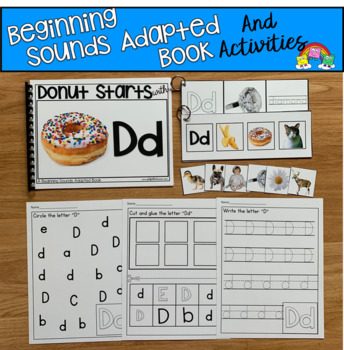 3 Worksheets That Focus On The Letter. 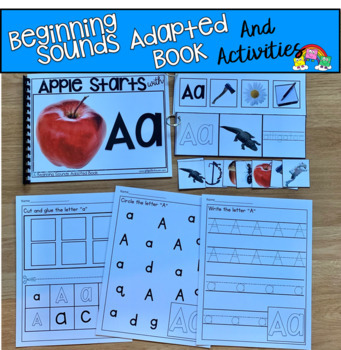 That Apple Starts With A! So far the bundle includes letters A-O. 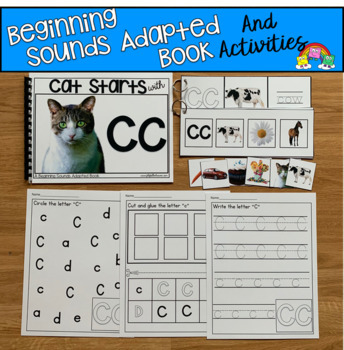 P and Q will be added this week and the bundle will grow by 2 books each week until the set is complete.